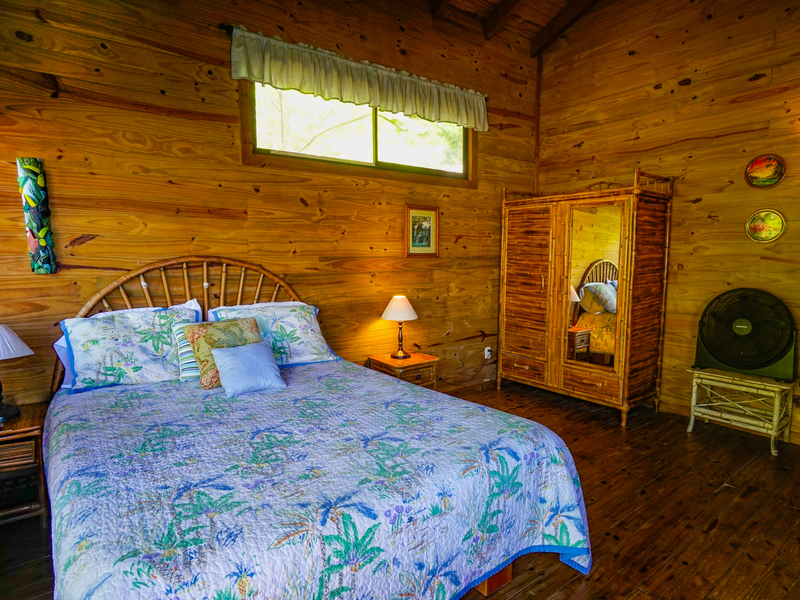 3.8 ACRES – 4 Bedroom Ocean View Home Plus Pool And Gust Cabin!!!! 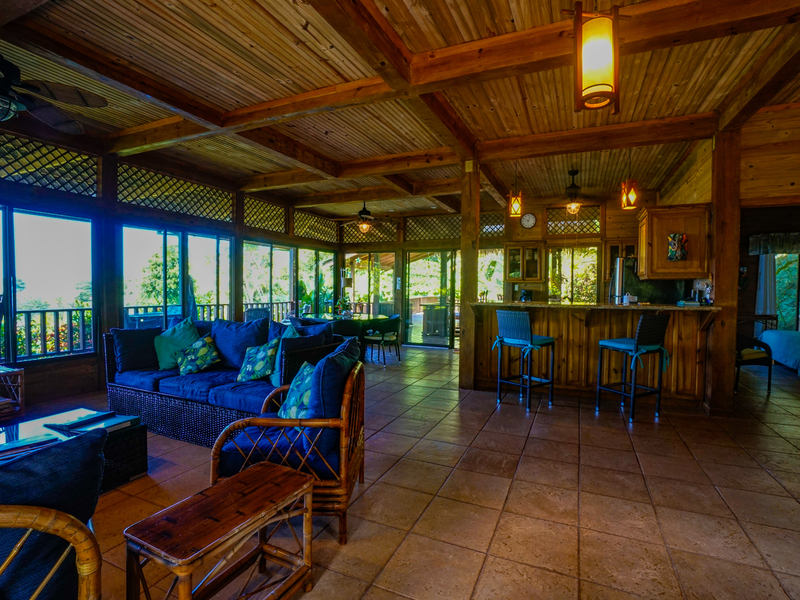 Living Space: 3,766 sq. ft. 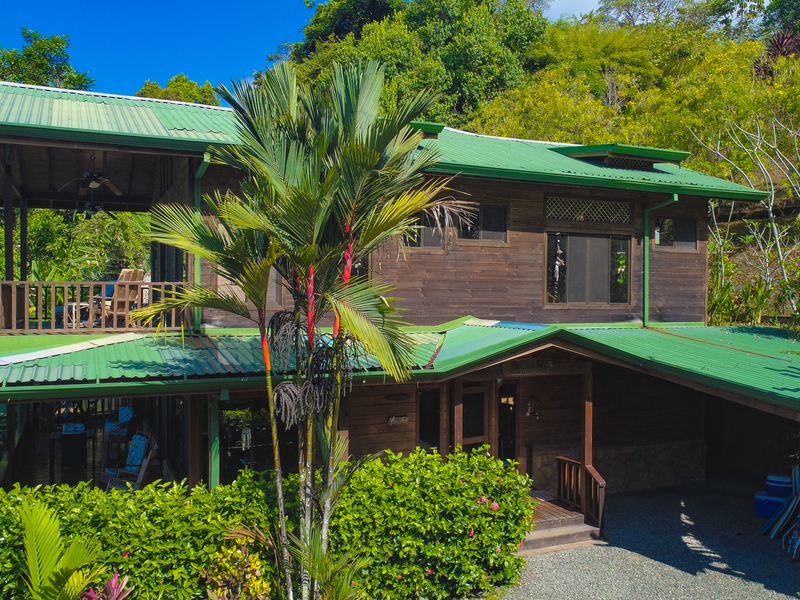 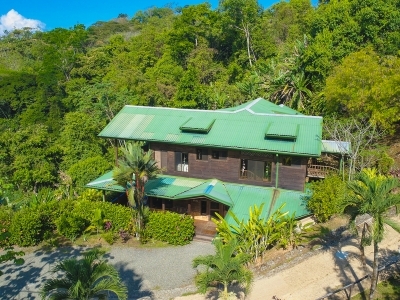 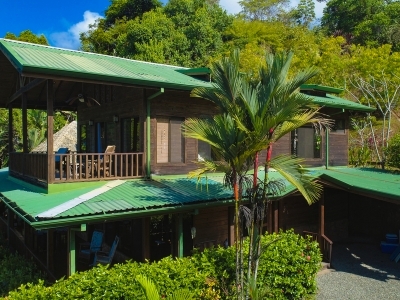 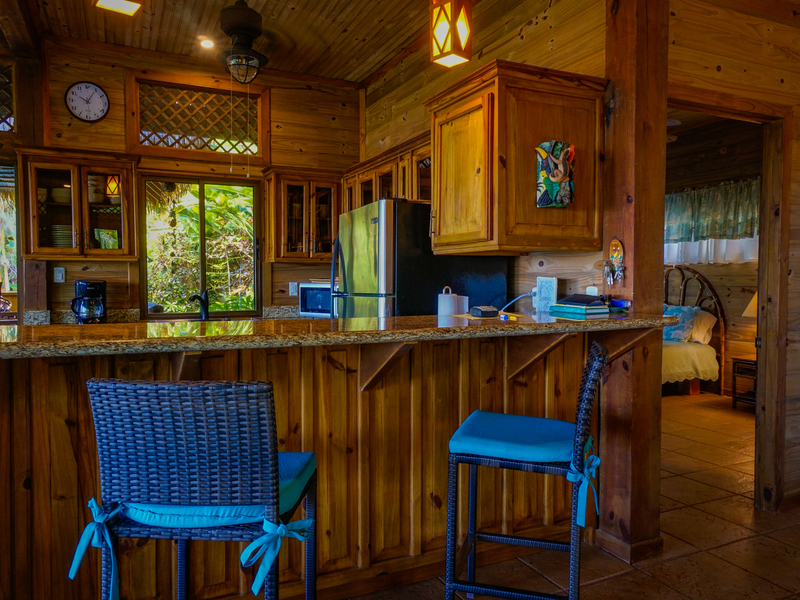 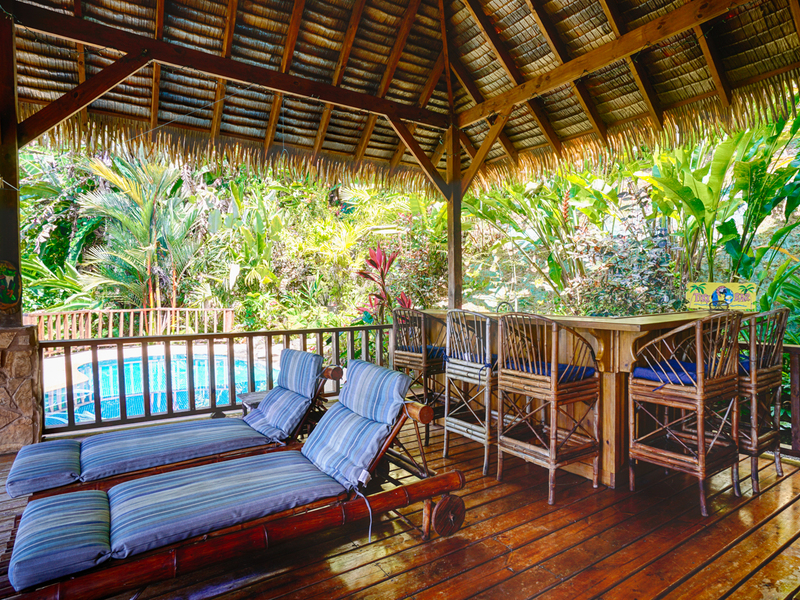 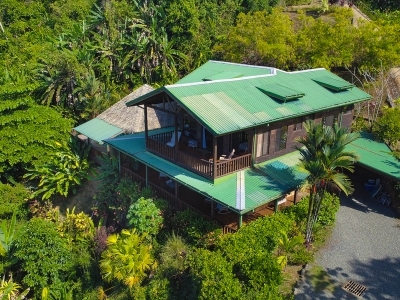 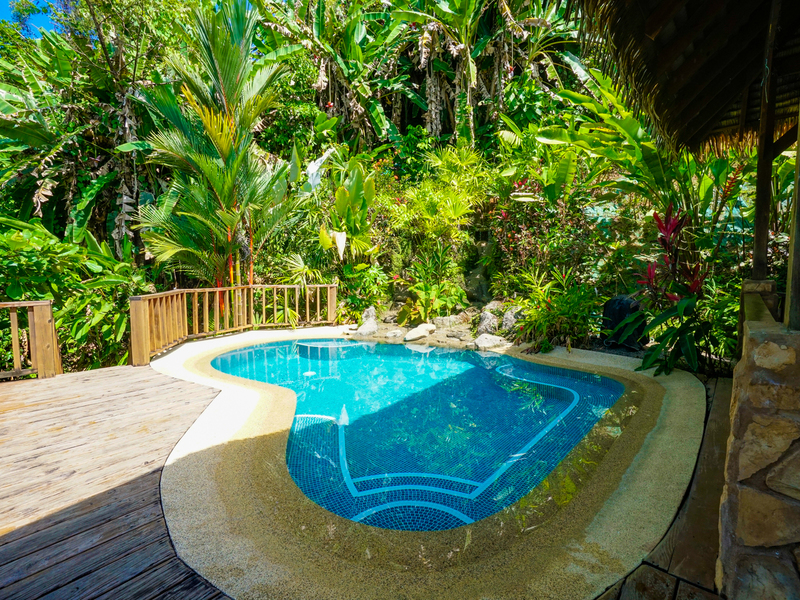 This craftsman inspired tropical villa is nestled on 4 acres of a private paradise in the rainforest jungle surrounding Uvita. The panoramic views of the ocean, Isla Ballena, Cano Island, Tres Hermanas (Three Sisters rocks), Osa Peninsula, and the Rainforest will take your breath away! 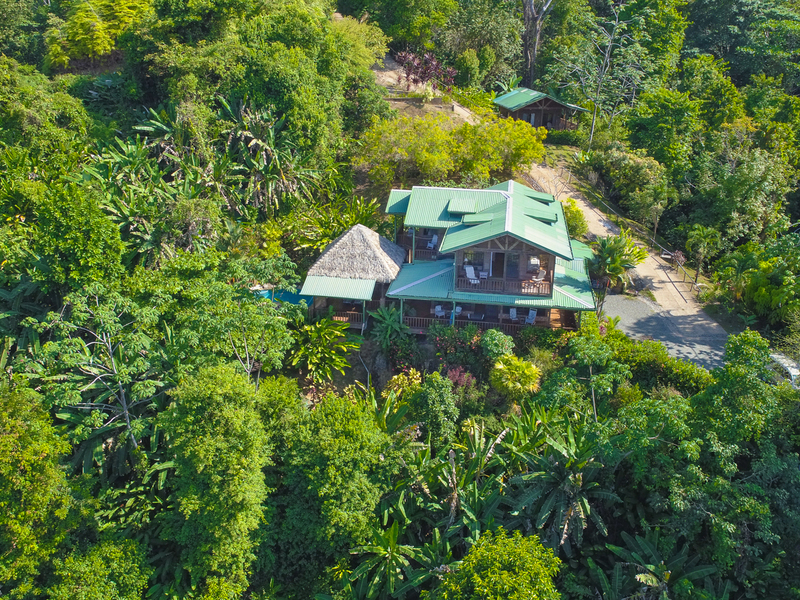 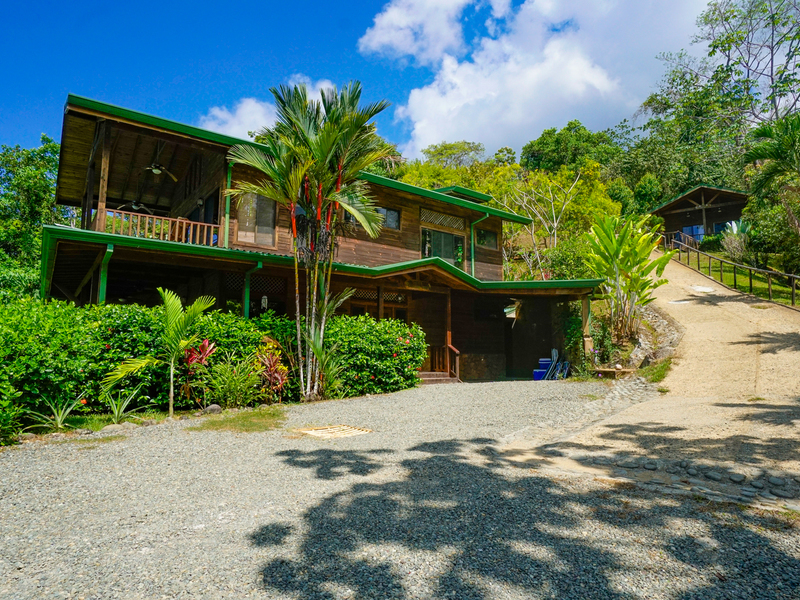 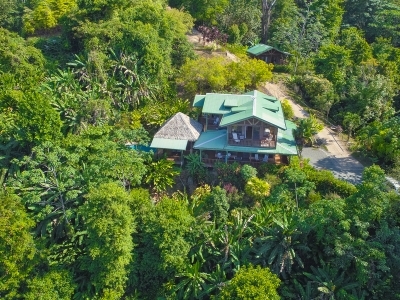 The House is ideally located at a comfortable elevation of 750 feet, above the town of Uvita in a private gated wildlife reserve surrounded by 100+ acres of Rain forest. 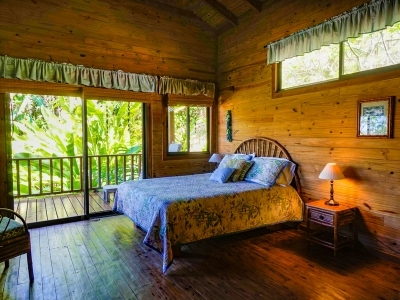 Villa Kristina Maria has 4 spacious bedrooms (including two master suites), 3.5 bathrooms, over 2250 sq. ft. of indoor living space plus 1500+ sq. 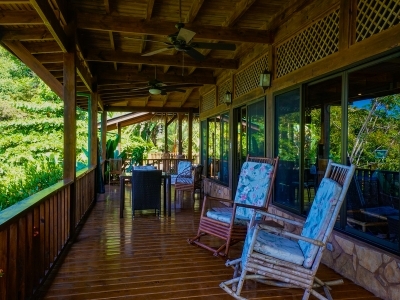 ft. of covered wrap around decks with lounge chairs and rocking chairs for relaxing and soaking in the scenery. The House offers a truly unique and private location with a spacious open floor plan designed for indoor/outdoor living, lots of windows with screens, and ceiling fans in every room and on the decks for panoramic ocean views from every room. Relax as you sip a drink at the bar on the palapa covered deck adjacent to the sparkling tiled swimming pool that features a serene rock waterfall surrounded by lush tropical plants and flowers. 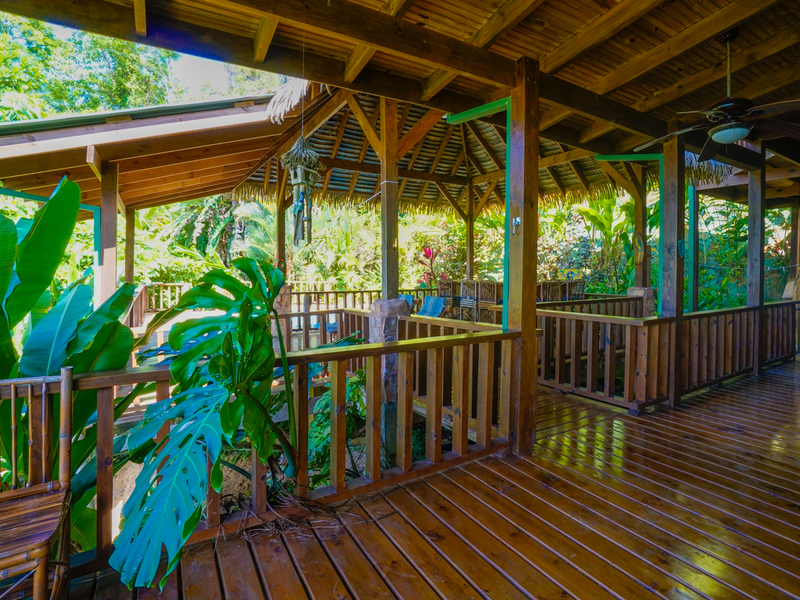 The palapa deck has a wet bar with a refrigerator, several bamboo bar stools, bamboo lounge chairs, a settee, and arm chairs. 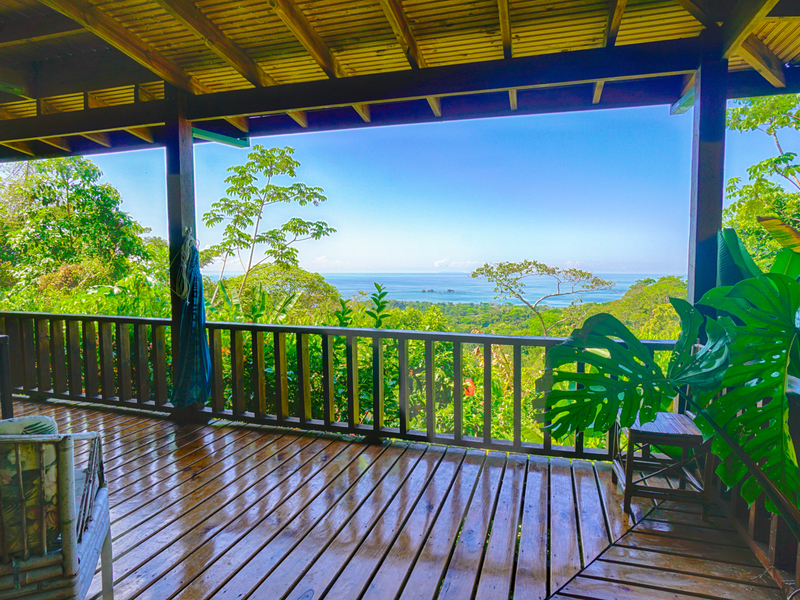 You\’ll never want to leave! 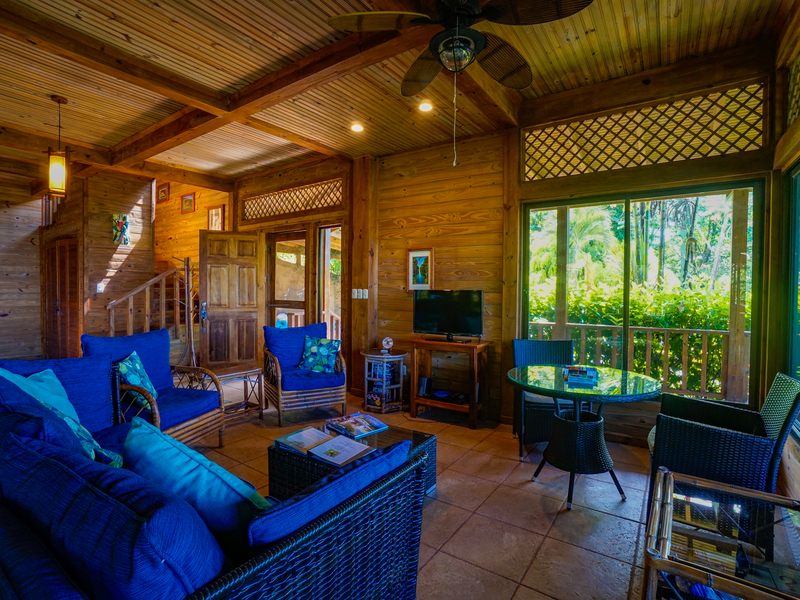 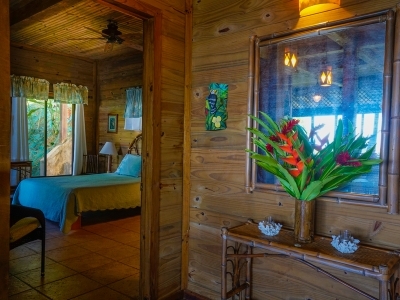 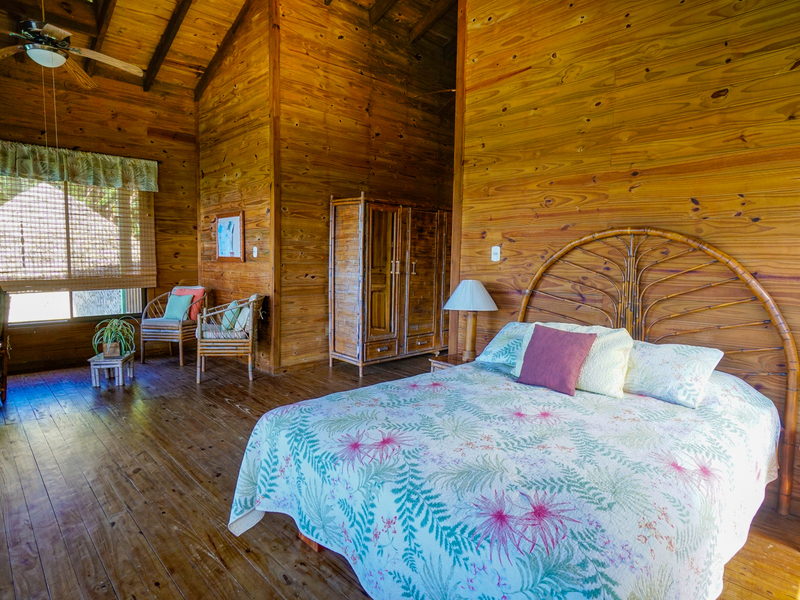 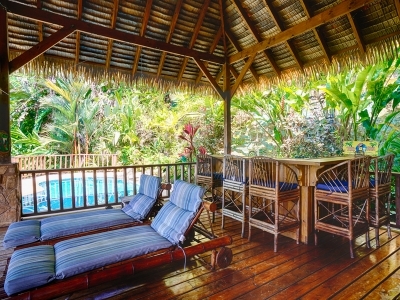 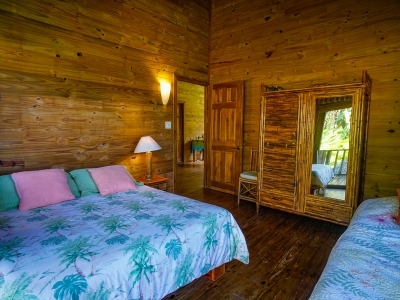 The House is tropically furnished and beautiful artwork by Costa Rican artisans. 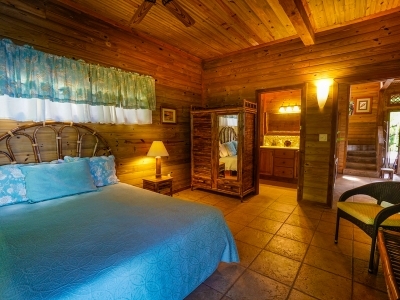 Each of the four bedrooms has a queen-sized bed, pillow top mattress, bamboo headboard, mirrored armoire wardrobe, an arm chair, and its own covered deck with a ceiling fan, and views of the ocean, islands and jungle. The kitchen features stainless steel appliances including a dishwasher, tropical designed dishes, a breakfast bar, and is fully equipped with a toaster, electric coffee maker, blender, pots and pans, linens and cooking utensils. 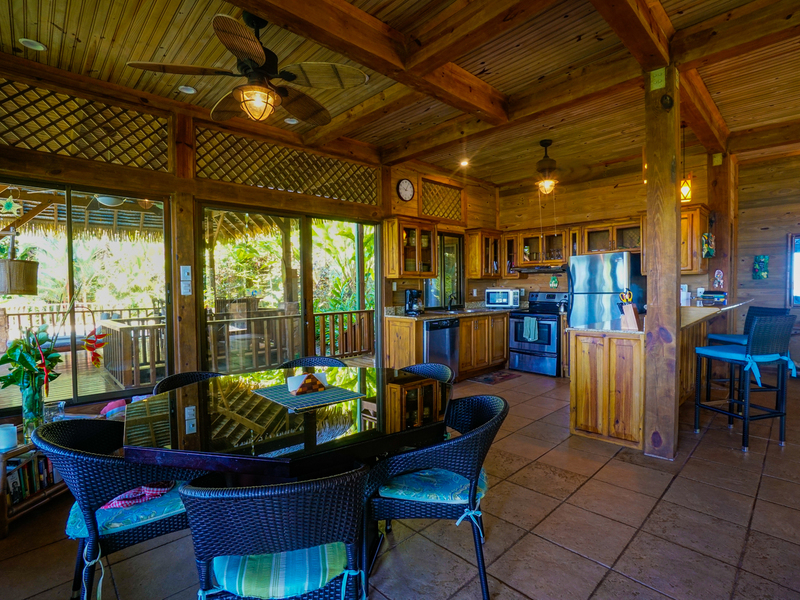 The dining room has a large dining table that seats 8 people. You can also dine al fresco at the Tahitian style table on the deck, or at the palapa bar. 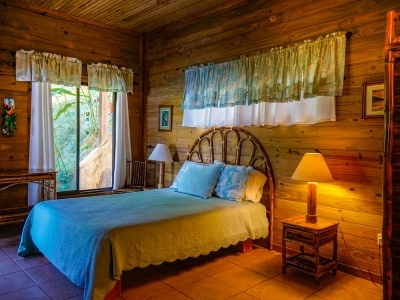 Enjoy the sights and sounds of nature: Howler monkeys, white-faced capuchin monkeys, white-nosed coatimundi, agoutis, iguanas, toucans, parrots, many other exotic birds, beautiful butterflies including the spectacular blue morpho, dragonflies, frogs, and other jungle wildlife. 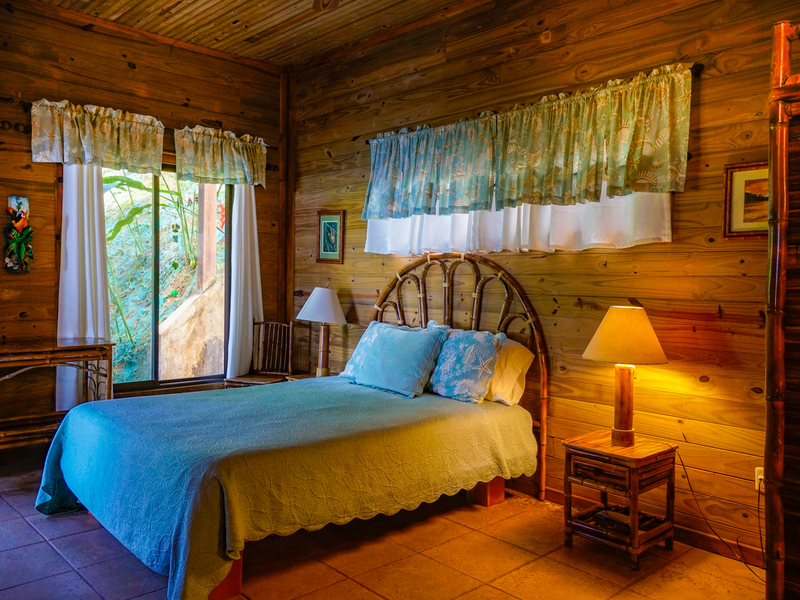 Hike to beautiful waterfalls, streams and cascades in the private gated reserve. 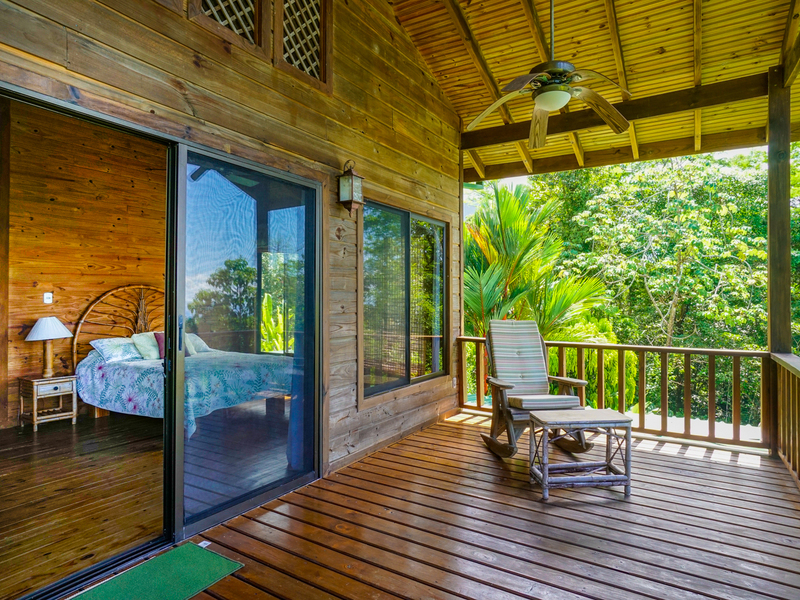 Relax in a Hammock while enjoying the tranquility and soothing sounds of the rainforest, or read a book in a comfortable Lounge chair on the deck. Minutes to beautiful tropical beaches where the jungle meets the shore, and the ocean temperatures range from 80-88 degrees year around! 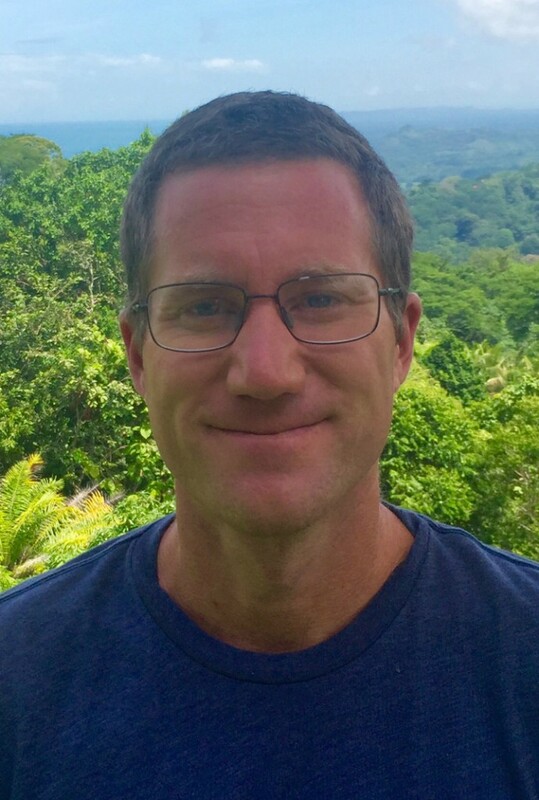 Convenient to delicious restaurants in Uvita, Ojochal and Dominical, banks, grocery and convenience stores, gas station, and a multitude of nearby activities that include swimming, surfing, horseback riding, whitewater rafting, fishing, boating, kayaking, snorkeling, zipline canopy tours, hiking, exploring ocean caves and rainforest waterfalls, ATV tours, learning about jungle flora and fauna on a guided hike at Hacienda Baru Wildlife Refuge, Tour to Nauyaca Waterfalls, Boat ride through the Sierpe Mangroves, and shopping for sourveniers at beachside open market on Playa Dominical, or at the Open Market in Uvita on Saturday mornings. 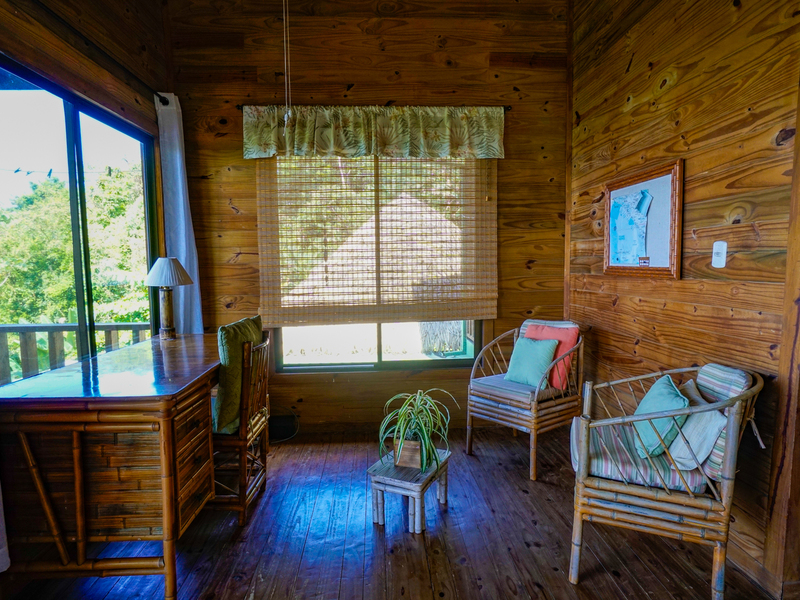 There is a 515 sq. ft. studio cabin (including the deck) is furnished with locally crafted bamboo furniture including a queen size bed with a pillow-top mattress and bamboo headboard, a kitchen table with 3 chairs, a settee, and arm chair in the sitting area, night stands, a bamboo wardrobe armoire, and 2 Adirondack deck chairs and loveseat. The kitchenette has a stainless steel electric range/oven and refrigerator, a stainless-steel sink, granite counters, a coffee maker, toaster, blender, microwave, tropical design dishes and utensils, and pots and pans. 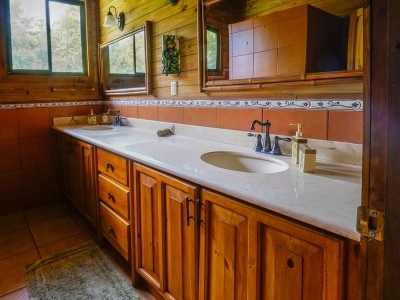 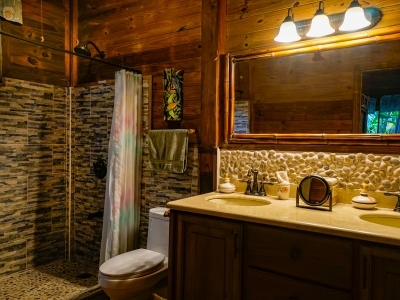 The bathroom features a tiled shower, bamboo framed mirror, a marble vanity, a ceiling fan, and a window looking out to the rainforest. 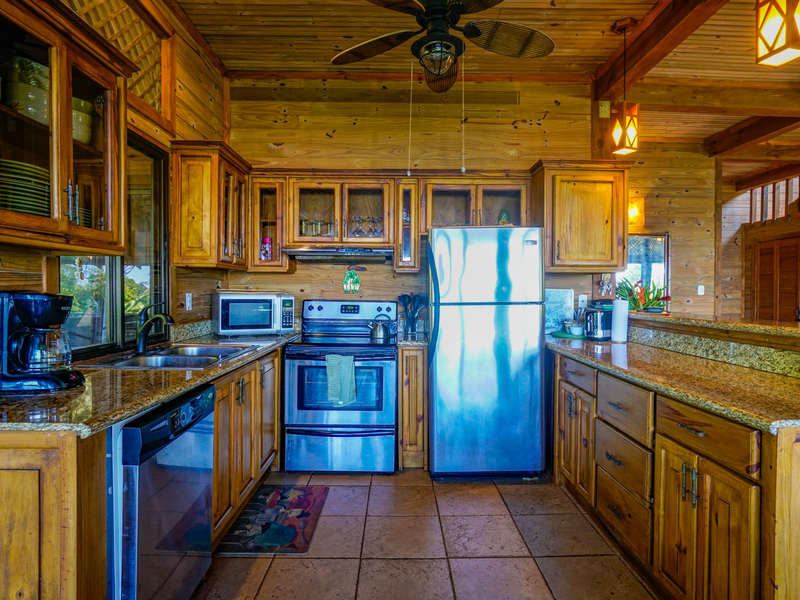 Other features include ceiling fans (4 interior and 3 exterior fans), wireless internet, and a covered deck on two sides of the Casita. 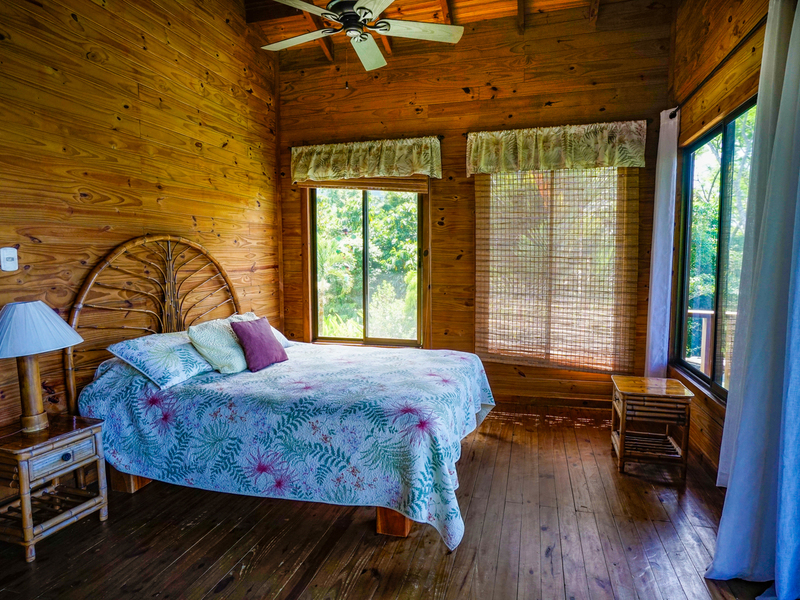 Bedding, linens, towels, and 2 beach chairs are provided. 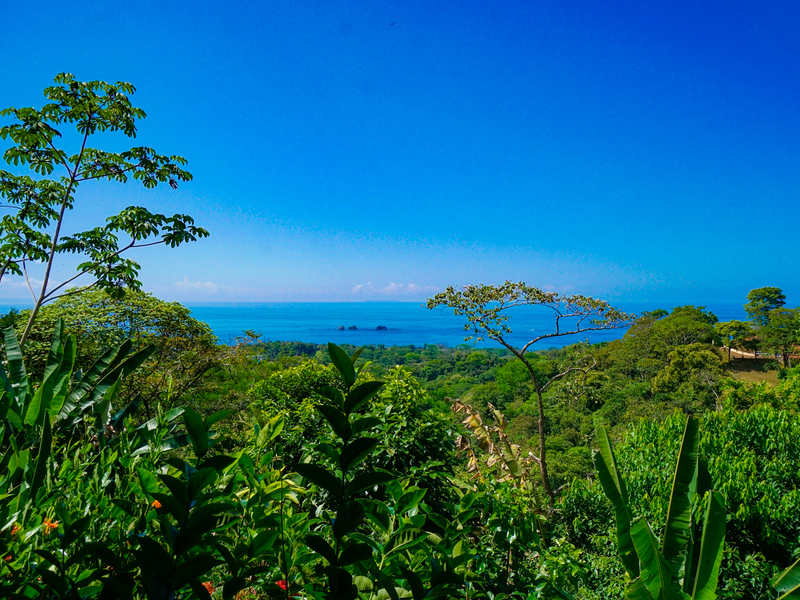 Minutes to beautiful tropical beaches where the jungle meets the shore, and the ocean temperatures range from 80-85 degrees year-round!